Liquid Blu business manager David Yeates spoke to our friends at Total Synergy, Australia’s leading architectural practice management software developer. Total Synergy creates business management software that gives architecture, engineering and construction design businesses more time for design. Evolutions in modern technology fundamentally shape the future of the global architecture industry. Architects and architectural practices in Australia and abroad succeed in their ability to remain at the forefront of a competitive field through the adept use of up-to-date software. 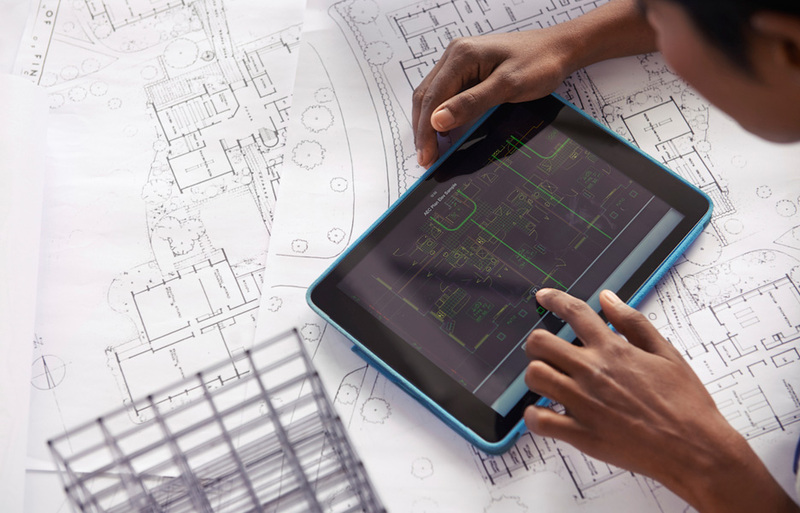 The significance of maintaining an awareness of technological advances is paramount to all built environment design firms in order to find security within the current AEC industry. International developments such as rapid population growth, the ominous effects of climate change and depleting energy resources create not only uncertainty, but also opportunity. Liquid Blu business manager David Yeates says that by exploring the potential of BIM and cloud technology, forming technological strategies and forming constructive partnerships, architectural firms will be able to stay relevant in a fluctuating global business landscape. “In chatting with Yuri (Yuri Dillon – founder and creative director at Liquid Blu) we kept coming back to the word ‘relevance’,” Yeates says. “Over the last few decades the relevance of the architectural industry has been diluted with specialist fields assuming responsibility for portions of the work architects used to do as a complete service – things like building design, interior design, specialist project management, and energy analysis. Efficient use of new technology facilitates an increase in the effective delivery of projects, with more time afforded to the design process and the successful realisation of concepts. Yeates’ background in selling CAD software within the design industry exposed him to a common concern amongst practitioners; should businesses prioritise spending on technology and relevant training? “I used to encourage product training as an investment in improving process and coordination… to reduce variations and back-and-forth communication. The reality is that much of the adoption of, and investment in, technology is client driven. “It ultimately doesn’t matter what we as a practice are capable of doing if the client isn’t prepared to spend any additional dollars, even if it’s going to save time and money on the overall cost of the project. If there’s no immediate realisation in terms of profit or budget they won’t spend their budget with us. “Architectural practices then have to choose whether to reduce margin for the sake of long term sustainability of the development, or it doesn’t happen. Though technology in architecture and design is often associated with advances in graphic modeling and conceptualisation, it is also invaluable as an organisational tool, coordinating multi-disciplinary teams across different projects. Liquid Blu incorporates a range of systems and practices that enable businesses to be effective in their approach. Xero cloud accounting and cloud-based email enhances in house communication and record keeping, while Synergy Practice Management optimises project accounting and document management. “When you look at the benefits of these systems on an individual level it doesn’t seem like much in the way of time savings, but it’s an argument of incremental minutes,” Yeates says. “We analysed several projects for the cost in time and potential error around drawing transmittals. We were using up a lot of time in manual processes to manage transmittals, as well as facing the risk of human error in this process. “Since adopting a practice management system for project accounting and document management (Total Synergy), we saved around 40 hours in a six month period in transmittals alone – and that was just on the projects we measured. This is time we were able to put back into documenting projects which is a whole extra week of billable hours. David also says that maintenance of software and processes is vital in ensuring a practice stays industry relevant. “We adopted Total Synergy for the practice about four years ago and so far it’s been a very good choice,” Yeates says. “Having come from a CAD environment in my previous career I’ve not been used to seeing the advances in development in a single year as I’ve seen from Synergy every year… the development since adoption has been amazing. Considering that built environment design practices adapt technology and processes to cater for clients, is this a sign of the approach that businesses will need to maintain relevance in the future? According to Yeates, the cost of updating and training and staff to best practice standards is inherent in the pursuit of efficacy. “We have seen so many points of the business where technology has made it more efficient – from the way we manage time and resources to the way we issue transmittals, and we know these are almost fail proof systems,” he says. “Technology has removed a lot of human error and allowed us to dedicate more time to strategy of operation, and to innovation in design, because the technology is allowing us that time. “The true benefits of technology, though, come from investing in staying up to date, and in training. Technology, and the capability to use it effectively, is almost dictating competitive advantage. At the very least, you have to stay up to date for competitive equality. “So to complete the circle, we need to be relevant for the clients who demand certain capabilities. We need to invest in relevant capabilities according, or even in advance of, client demand, and we need to invest in technology to achieve efficiencies. Which one comes first? Architects and designers are all charged with the task of accommodating society’s needs and idiosyncrasies within the built environment, communicating relevant social values in their vision of physical space. It is essential for these practices to embrace technology and evolve with it, in order to remain current and relevant to a global industry dialogue.